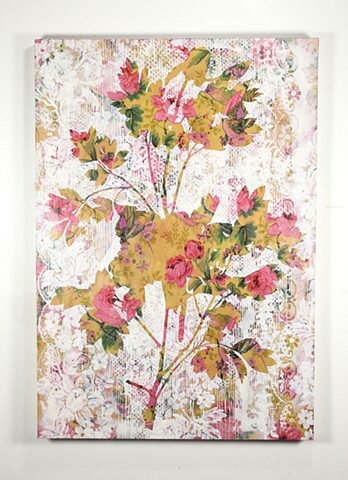 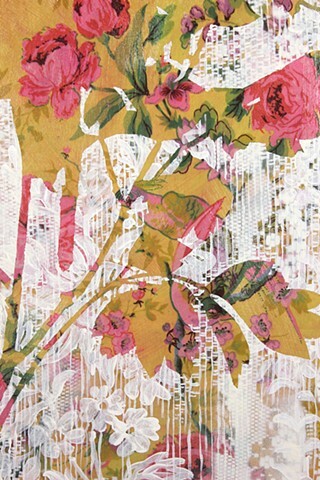 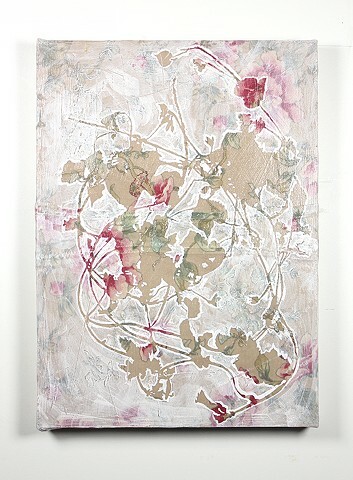 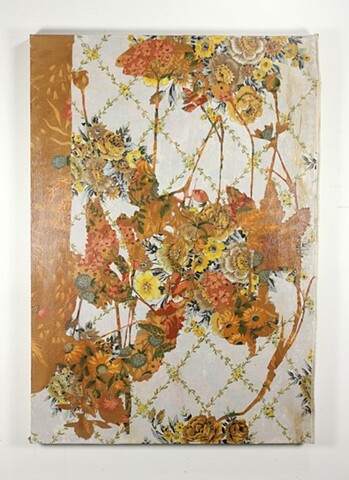 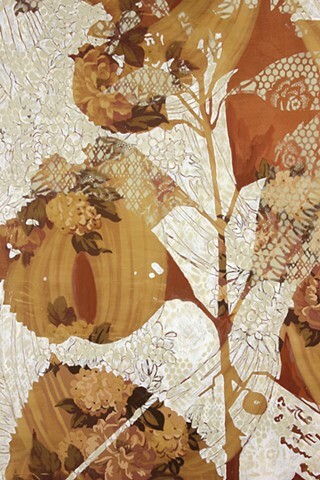 For this series, I first collect secondhand floral textiles and then use them, stretched over panel, as the first layers and "grounds" for the paintings. 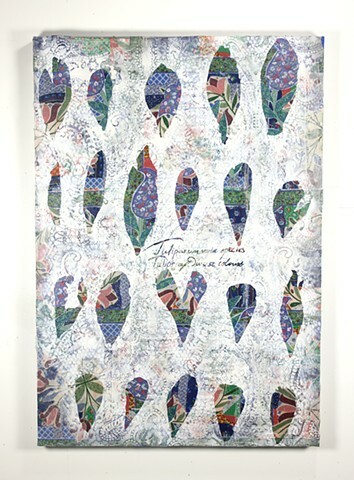 These fabrics—sourced second-hand in Central PA where I live—form a kind of regional index of the domestic as it intersects with idealized nature. 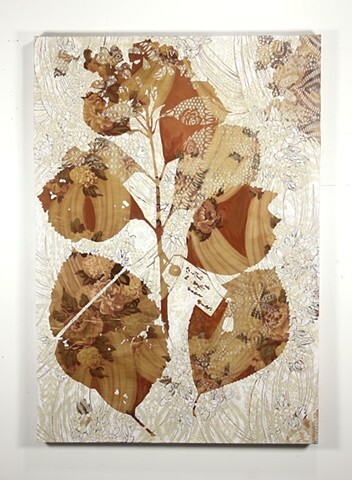 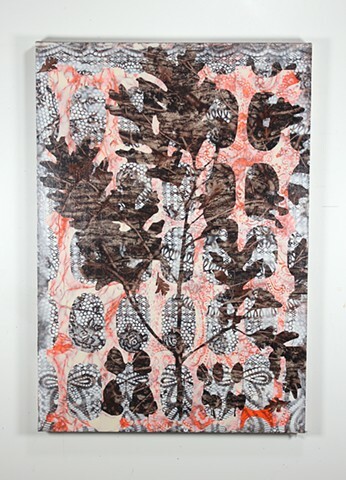 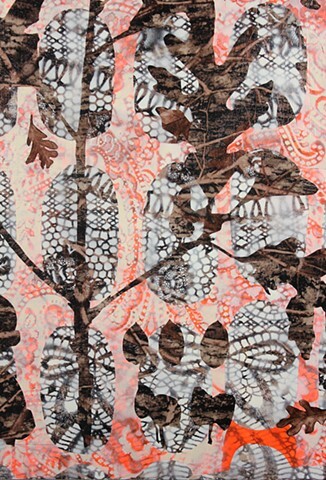 With each new textile surface, I attempt to identify the prominent plant pictured and then match each piece with a silhouette derived from a documented herbarium specimen representative of the species identified. 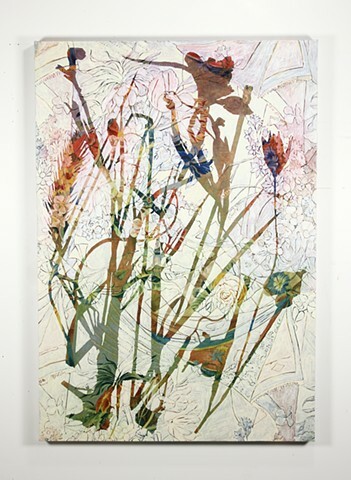 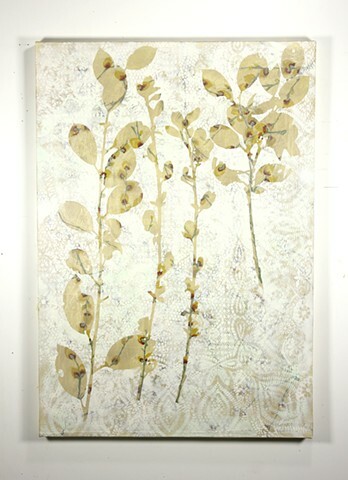 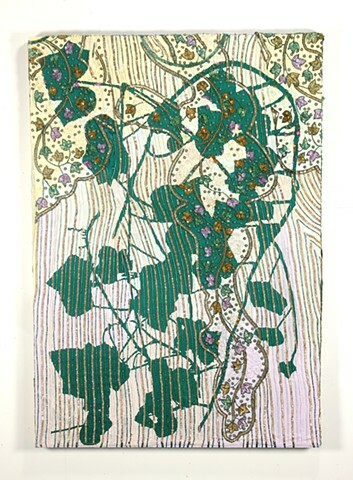 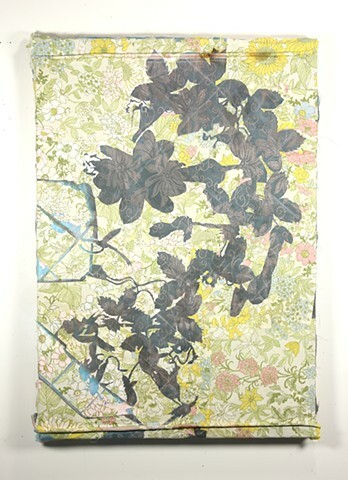 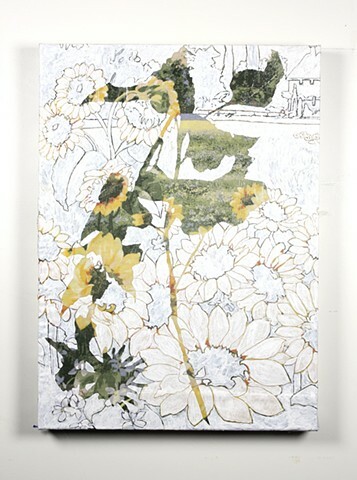 The silhouette of the plant specimen, through the painting process, becomes a window onto the original surface, which careful viewers realize is an alternate representation of the plant. 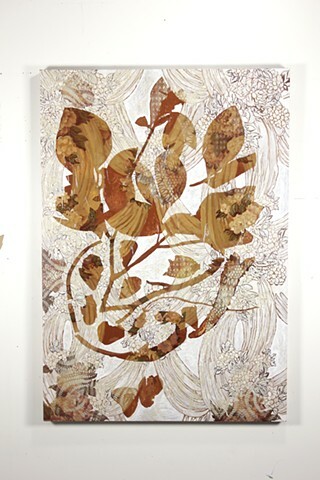 I imagine the paintings almost as future relics of nature lost or botanical realism in an age of limited biodiversity. 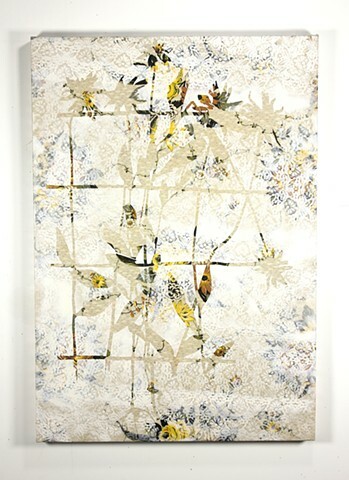 I think the abundance of nature imagery—prolific and sensual florals, hunting camouflage in an oak leaf motif, eye-poppingly gorgeous tropicalia—is misleading and obscures the decreasing biodiversity of the natural environments beyond our doors. 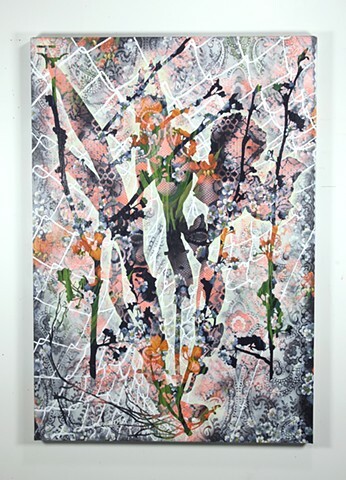 These paintings were created in 2016 and 2017 and have been exhibited as a group only once, in my solo show Escape from Cultivation at Furman University in Greenville, SC. 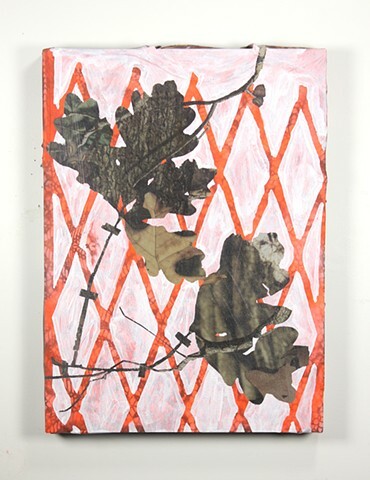 Individual paintings have been shown in group exhibitions such as the 2017 Miami University Faculty & Alumni Exhibition at the Miami University Museum of Art in Oxford, OH and the 2018 Regional Juried Exhibition at Penn College in Williamsport, PA.